12/29: Tax-Time Survival! 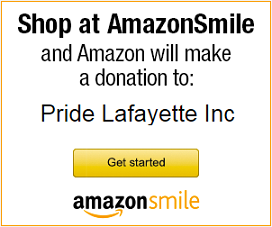 – Pride Lafayette, Inc.
Home » Events » 12/29: Tax-Time Survival! Are you married or thinking about getting married? Single and have some questions? Helen Hession of H & R Block will talk about taxes and things people need to consider now that they’re married or getting married. Come ask questions and learn what you need to know at tax time! Light refreshments will be served. Visit the Facebook event page for the latest updates! ← The Latest WORD is here!